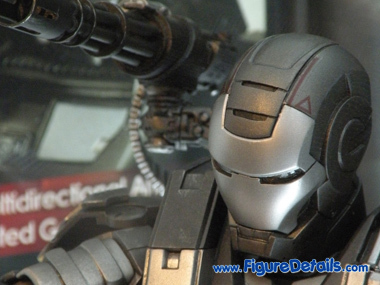 - Highly detailed War Machine based on the movie "Iron Man 2". 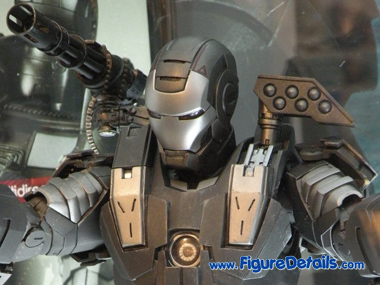 - A pair of improved palms with movable fingers and light-up repulsors. 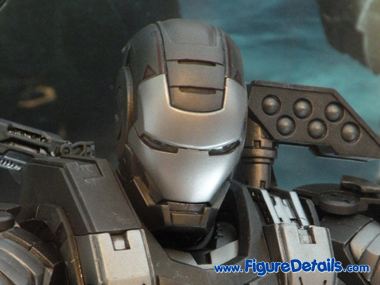 - Light up function on eyes, heart, and replusor palms. 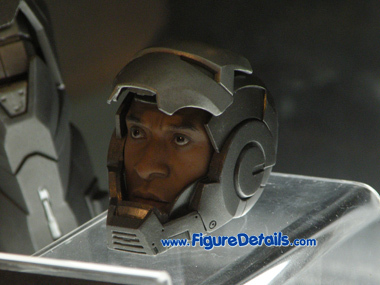 - Alternate head likeness of Don Cheadle as Col. James 'Rhodey' Rhodes in the Iron Man 2 movie. 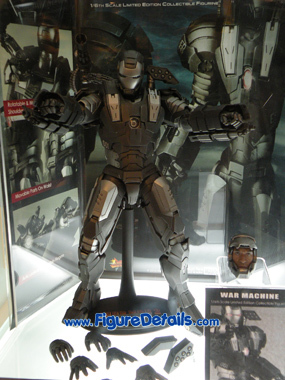 Here I show you the War Machine action figure that is now displaying in Hot Toys store. 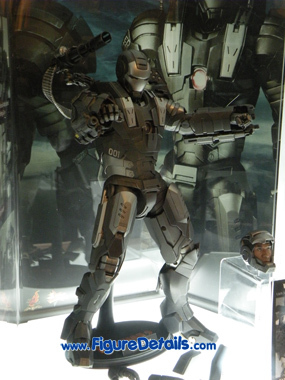 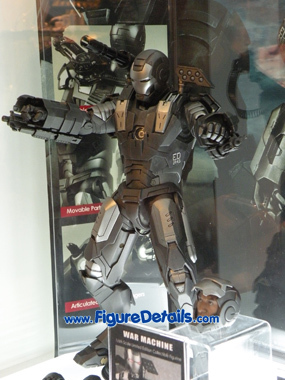 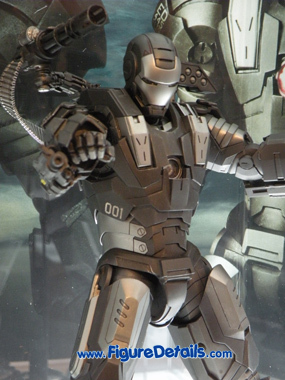 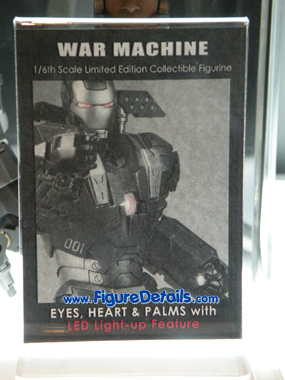 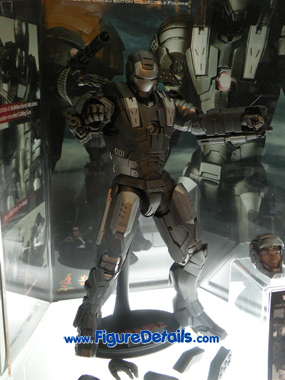 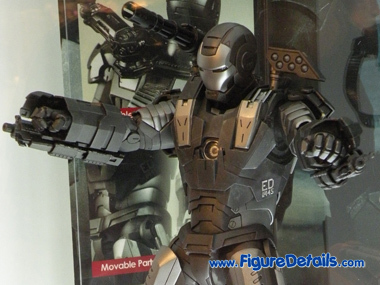 This War Machine action figure is already released on Oct 2010. 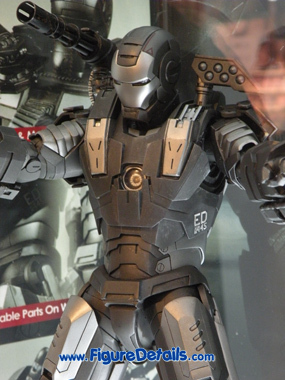 Show you some close up of Hot toys Iron man 2 War Machine. 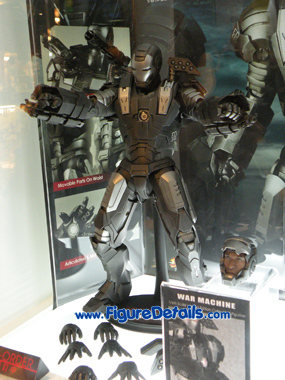 As you can see the Iron Man 2 War Machine comes with 2 head. 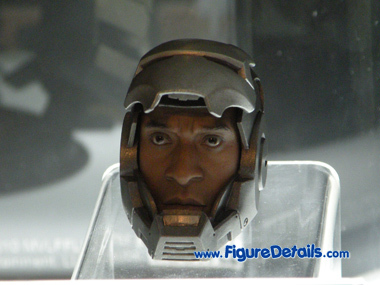 One normal iron man head, and one head with Col. James head sculpt. 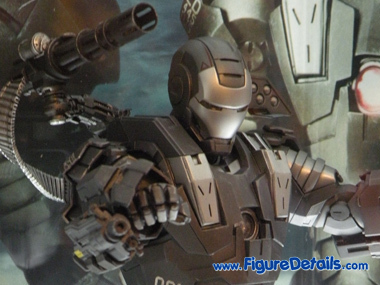 Also Iron Man 2 War Machine is highly detailed come with lot of machine gun and weapons.